This lovely bowl was made by Michael Hunter for Twists Glass in 2016. 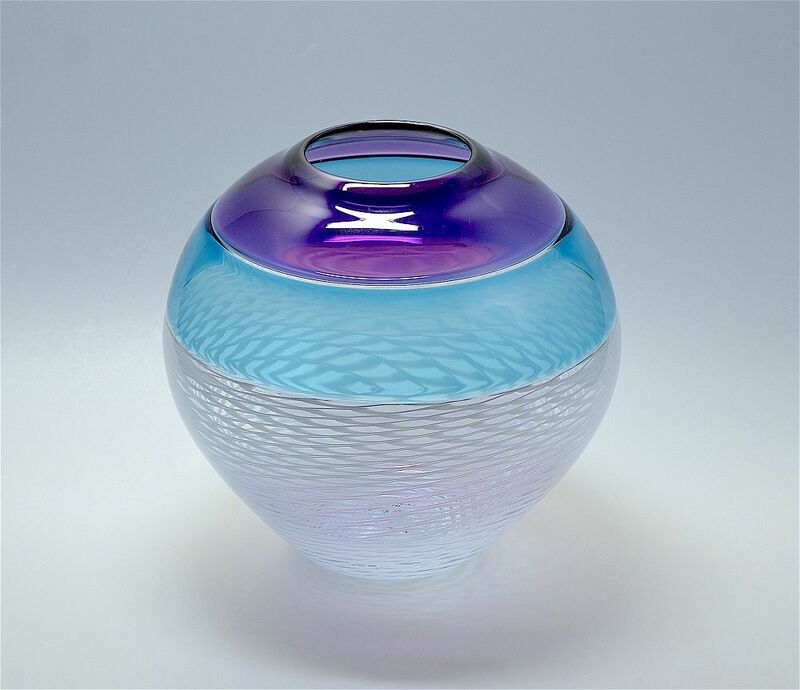 Known as "Willow" the base of the globe bowl is a criss-cross pattern of white canes encased in clear glass leading to a double incalmo top of turquoise & purple glass with the top being slightly waisted. It is signed "M Hunter Twists 16" and has the Twists Glass studio label.